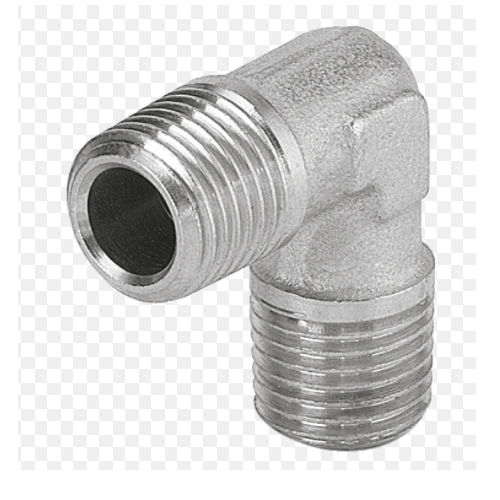 Our range of Male Elbow Taper has been manufactured with high-grade raw materials so that it could enhance better work of the machinery in various industries which deals with oil & gas, chemical, water-related industries and many such industries without causing any problems. Since 1984 we are engaged in manufacturing and supplying precision engineering components for various industries. We have strived hard to provide complete satisfaction to our valuable customers by timely delivery of quality goods at reasonable price. S. D. Industries is ISO 9001:2008 certified company and this accredition is a due recognition for our hard work and commitment. Keeping in mind the global trends, we keep upgrading our machines and equipments with the latest technology so as to provide precision components to the customers. Our products are manufactured under the supervision of the professionals, who carry quality check at every stage of production.